The most important parts on your ATV should be checked first, which is really all of your controls. Start with the throttle, handbrake and clutch levers on the handlebar and follow their cables down to make sure nothing is bent or damaged. 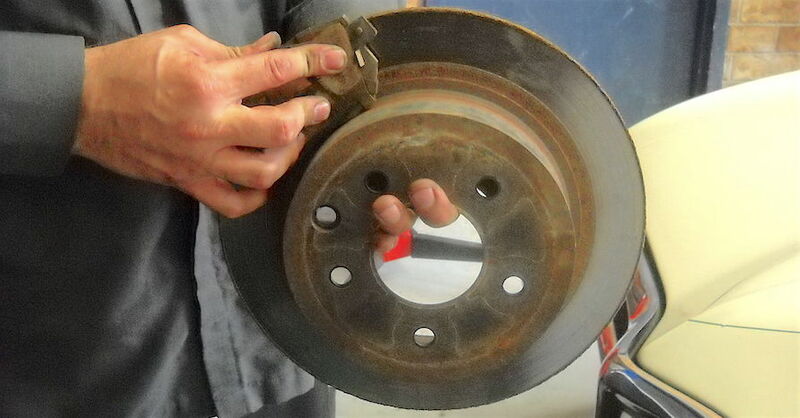 Next, check your foot brake and clutch to ensure they function properly and there’s no binding. 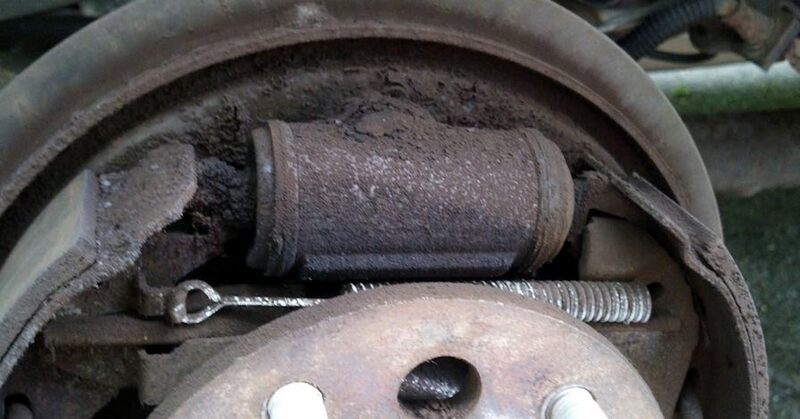 The last thing you want to do is get moving again only to find out that you don’t have any brakes or there’s an issue that makes your ATV unsafe to operate. Next up are your wheels and tires. Inspect the wheels for dents and be sure the valve stems are intact. Also, look for any dirt in the bead of the wheel or punctures in the tires. 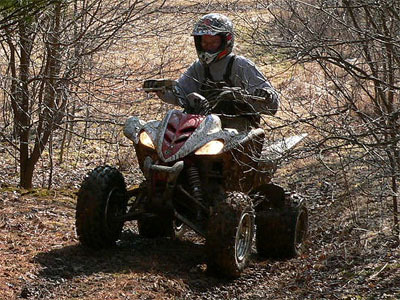 If everything at this point looks OK, your ATV should be safe enough to ride back cautiously to your truck or trailer. Do not continue your normal riding until you head back for a more thorough inspection. Back at your truck or garage, you’ll want to inspect your ATV more carefully; especially with regard to the wheel alignment, meaning at two separate angles. Start by taking the wheels off and clamping a straight edge to each of the brake hubs horizontally and measure the distance in the front and back to make sure they’re the same. 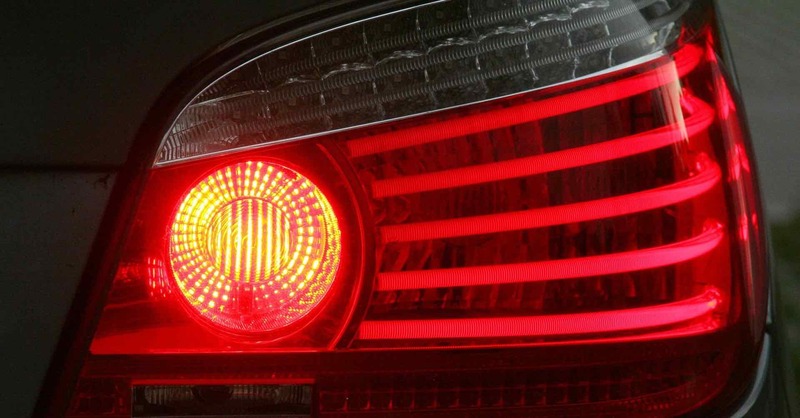 If they’re different, you’ll need to adjust the steering rod on the side that is out of alignment. Next, check the upper control arms to make sure they’re not bent and then turn your straight edge vertically and measure the two ends again. If they aren’t equal you have a bent arm or further damage. Finally, put the wheels back on and make sure the handlebar is straight and aligned with the wheels. The last but most critical element of your checklist should be damage to the ATV itself — this includes the frame, gas tank, engine and everything else. 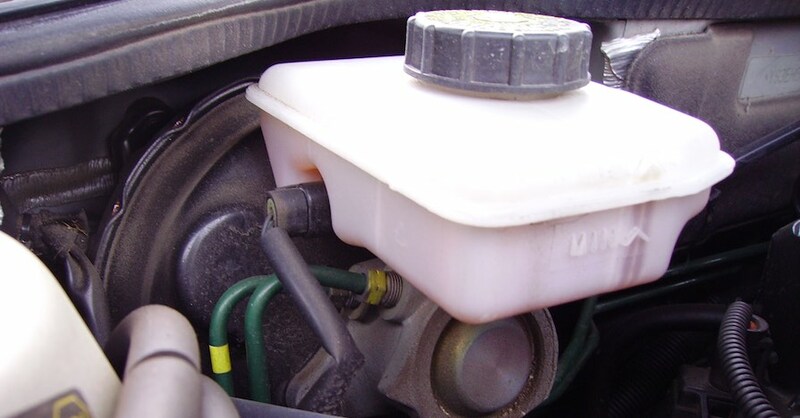 Inspect the tank for cracks or dents where paint has chipped off. You’ll also want to look at the frame to make sure it isn’t bent or cracked and that all the weld joints are still solid. Last, you’ll want to check the bolts, especially the lug nuts, pivot ball, axle nut, wheel hubs, skid plate and sprocket bolts, to verify they’re not damaged and are on tight. 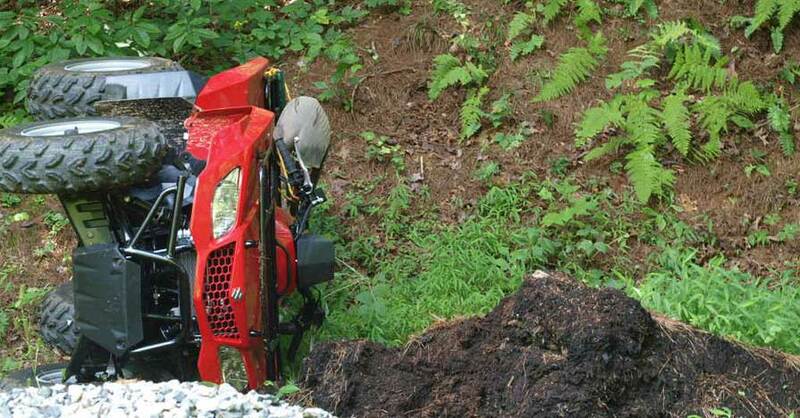 It may seem like common sense, but knowing what to do if you flip your ATV, and especially what to inspect after, is important to stay safe when riding. By taking a quick assessment of the controls, you’ll evaluate if the ATV is safe to get back on or if repair is needed on the trail. Back at your truck or in your garage, you’ll need to further inspect the frame, suspension and components before you take to the woods again. Check out all the ATV and powersport parts available on NAPA Online or trust one of our 16,000 NAPA AutoCare locations for routine maintenance and repairs. For more information on what to do if you flip your ATV, chat with a knowledgeable expert at your local NAPA AUTO PARTS store. Thanks for the information about flipping an ATV! I have always wanted to get an ATV, but I have been worried I don’t know the safety rules well enough. Thanks for mentioning to check your wheels for dents before you get riding again. That way, you can ensure no further damage will come to the vehicle. When an ATV flips why does it turn off? Some ATVs have a rollover switch that turns off the engine in case it flips. This is to make sure it doesn’t run away without the rider or hurt the rider if it lands on them.